Neena Tankha, Celebrity Divorce lawyer and Warshaw Burstein Partner explains the legal aspects of the Donald Trump Jr’s pending divorce in People magazine and USA Today. Partner Neena Tankha provides legal insight into Trump celebrity divorce in USA Today. We are proud to announce that Warshaw Burstein partners Thomas Filardo, Jack Kannry, Bruce Wiener and Eric Wrubel, and Counsel Peter Figdor have been honored as "Super Lawyers," and Maxwell Breed, Hilary Korman, Kimberly Lau, and Neena Tankha, as "Rising Stars," in this year's Super Lawyers publication for the New York Metro area. Click here to see the full publication. We are proud to announce that Warshaw Burstein partners Thomas Filardo, Jack Kannry, Bruce Wiener, and Eric Wrubel have been honored as "Super Lawyers," and Maxwell Breed, Kimberly Lau, and Neena Tankha, as "Rising Stars," in this year's Super Lawyers publication for the New York Metro area. Click here to see the full publication. Congratulations to Neena Tankha on being quoted in the June 1, 2016 edition of USA Today. 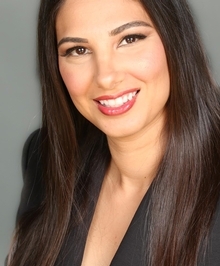 Warshaw Burstein partner, Neena Tankha, wrote an article, “Fighting Fire With Fire: What To Know When Divorcing A Spouse With Narcissistic Personality Disorder" that appeared on the Bloomberg news website on April 26, 2016, as well as on other online media sites. Click here for the text of the article. Kimberly C. Lau and Neena Tankha, Partners of Warshaw Burstein, LLP, were both selected as Super Lawyers New York Metro Rising Stars for 2015 and will be featured in The Top Women Attorneys in New York, a supplement that will appear in The New York Times newspaper on Sunday March 27, 2016. Warshaw Burstein partner Neena Tankha was appointed to the New York State Bar Diversity Committee.